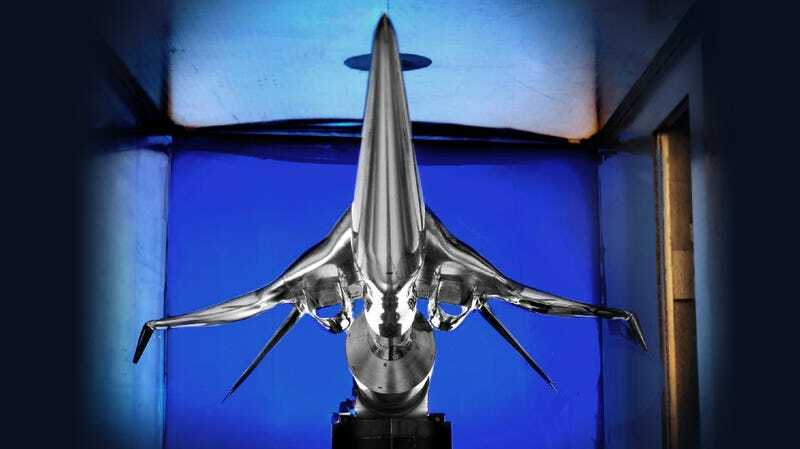 NASA and its partners keep making progress in their quest to design a new passenger airliner that can fly supersonic without making a lot of noise, one of the main problems with the Concorde. And that progress looks space-age awesome. The model contains a force measurement balance used to capture force measurements (lift, drag). Depending on the type of test and on the tunnel, the model can be oriented any way. Pictured here, the model is actually upside down.